Talking about our thoughts and reactions to the new MCU film Marvel's Avengers Infinity War. This week I've got the debut album Underground by jazz rock group Octorock, intense beats by Doughboy the Producer on his new beat tape Nintendo 64 Instrumentals. A tribute from ThaSauce to classic game series in Miss Might Anniversary Collection, an eclectic tribute to Secret of Mana from The Travelers VGM titled Heart of the Forest, and a new collection of smooth guitar work by MYRONE on new album Hue. Discussing the Steven Spielberg blockbuster, based on a book, Ready Player One. I'm back, for the first time with the new Game Music Shop! In stock this week is the stellar new Where the Water Tastes Like Wine OST by Ryan Ike, the eclectic Flight of Light soundtrack, and Street Fighter: The RVA Warriors, a hip hop compilation out of Richmond, VA. Then we close with the latest EP of intense game metal with Clockwork by Super MadNES, and the spacey sounds of Continuum Kingdom's new album 7 dmns. Eclectic sounds this week. Soulful remixes by BeatmakerKelz on Deadlines. Indie game sounds in the SUPERBEAT: XONiC Extra Soundtrack and the Bacon Man: An Adventure (Original Game Soundtrack). Then game rearrangement albums Reprisal by Harry Lode and Glory to Metal (A Symphonic Metal Tribute to NieR: Automata) from Ferdk. The show for game music and hip hop is back! I've got a ton of hot new tracks from 8-Bit Jazz Heroes, Dual Core, James Landino, 2 Mello, ANTWON, SublimeCloud, Tudd, Emrls, Stettes, and Blipperactive. I've got hip hop in the form of Side Missions 2 from NyteXing, and Doc Isaac with his album Attract Mode. Also got some stellar compilation efforts out of Pixel Mixers with Kirby - The Green (Greens) Album and Boost Power!. Also got some laid back beats by Marquice Turner. Frank talks about Black Panther, Anthony talks about Annihilation and the upcoming Super Smash Bros for Nintendo Switch. and other things. It's an eclectic week with the varied sounds of Linnani Vaanija album SNACK. Atmospheric themes from the DIVE: Starpath soundtrack by Nick Borrego. Street Fighter inspired EDM by DJ SUPER SONIC. Soul searching nerd hip hop rock by Schaffer the Darklord, along with Shael Riley and the Double Ice Backfire on their collab album Hold Person. Then it's the chill study music of Meteo Xavier on his hour long relaxing original music playlist. In episode one, I'm sharing music from my personal favorite Pokemon spin off, Pokemon Pinball for the Game Boy Color. Music in this episode composed by Go Ichinose, Junichi Matsuda, Hirokazu 'Hip' Tanaka. The triumphant return of Dual Core with their new album Downtime, Nerd based hip hop in Wreckfest by Wreck the System. Finely aged chiptune EP, noneday from Vidboy. Some hip hop vgm mashups from 8-Bit Mullet. Then the high calorie sounds of SUGARBURGER by LONELYROLLINGSTARS. Sharing music from indie game soundtrack Dragon Fin Soup by JDWasabi. Also got a slew of classic game tribute albums. Braxton Burks rearranges classic Pokemon themes in the album Johto Legends (Music from "Pokémon Gold and Silver"). ThePlasmas drop an intense metal album of Castlevania covers. Schematist imagines a world with more Mega Man ZX games. Then SonikBuster sends you to sleep with a variety of game based lullabies from the Sleep Mode album. 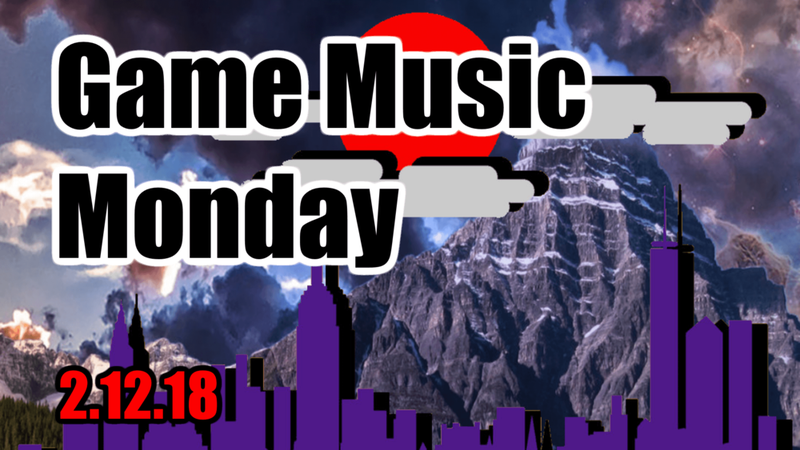 This week features Lena Raine's highly rated Celeste album, Tributes to Zelda in Marshall Art and Cory Johnson's Timeline EP as well as Pinhead Larry's new remix album, Memory Palace 2. Shinesparkers present Harmony of a Champion, a compilation tribute to the original Pokemon Red/Blue/Green/Yellow. Then it's another indie game OST with Chris Porter's YOMOTSU album. This week is a tribute to Diddy Kong Racing via a ton of artists from Materia Collective, Shane Mesa pays tribute to the Mother series in the fictional Mother 4 Soundtraaaack! More Earthbound via Super Soul Bros on their debut album Motherlode, and Rozen is back with an epic tribute to the Legend of Zelda series. New albums from 8-Bit Jazz Heroes, BeatmakerKelz, Viking Guitar Live, Emrls, and Spencer Bambrick. From jazz, to hip hop, to metal, this episode has got it all! Do you like Metroid games? Do you like Metroidvania games? Do you like nachos? Sorry, I mean, this week I talk about Metroid Samus Returns for 3DS, and get ever more hyped for upcoming indie game The Fall 2 Unbound by Over The Moon Games. I also talk about some Splatoon 2 and enhancing my mental capacity for video game facts. All this and dope new tunes by Jahn Rome, Earthbound Rejects, FrivolousShara, GamerGad and more! Not to mention the latest beats and instrumentals by DJ.mma Productions, DJ Chief Takinawa, Jay Tholen, Zalenka, the Pixel Quemado crew, Dale North, Blipperactive, Schematist, Jon Poulin, and then some! I talk about hacking the SNES Classic, general hacking anxiety, and then get hyped for Super Mario Odyssey. On the hip hop side, I've got the latest from the Earthbound Rejects, the very first Duosis ReCut by JH Sounds to be featured on SUBCON, not to mention the latest from The Grammar Club, courtesy of Shael Riley himself. Plenty of instrumentals this week as well, including FrivolousShara, DJ BlazeWave, MarcusCross, beek, Sean Schafianski, and Coda. Then we close the show with a very special Super Famicom game. Another Monday Replay! This week I bump a variety of game music remixes, and begin the quest to gold cup all of Super Mario Kart on the SNES Classic.